Did you know that in the heart of Tokyo there is a cafe that sits on the train tracks? 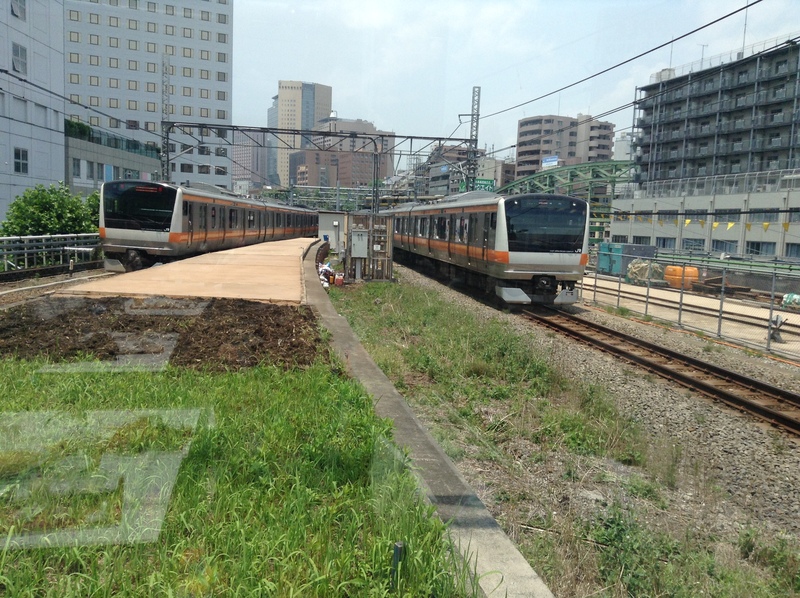 It is actually located in between the inbound and outbound lines of the Chuo line. The station is just between Ochanomizu and Kanda. It is also a short walk from Akihabara station. Here is the view from the window. We are just a few feet from the trains whizzing by. 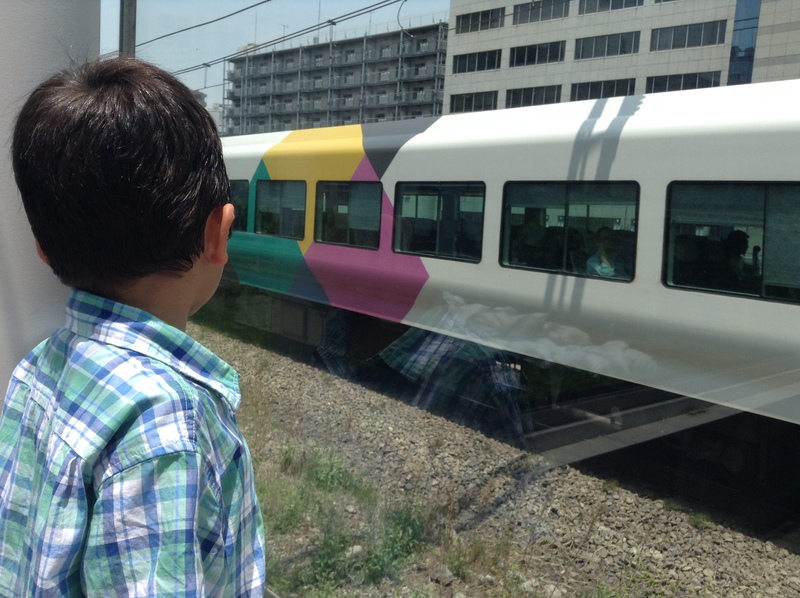 Here is the view from our seat looking as two Chuo trains pass us. The cafe opens at 11 a.m. We came early and were the first in line, but by about 10:45 a.m. there were about a dozen waiting to get in on a weekend. We ordered a sandwich and a curry. Both were terrible. The lettuce on the sandwich was so wilty, it surely was made the day before. The 7-11 sandwiches have fresher lettuce. As for the curry, I’ve had better curry from a pack. Bummer as the cafe itself is so sweet. When we go back I am just going to have something to drink. We did order some ice cream which was good. But, don’t come for the food. Sad as this is such a great dining city. It is a shock to come across food so awful. Come for the view and the experience. There is indoor and outdoor seating. The outdoor seating has the best views of the trains coming and going. Note that there is NOT a roof over you, so don’t go when it is raining. And, note that it is very hot out there under the sun. We will go back, but I will wait until autumn. You do hear the trains as they pass by. 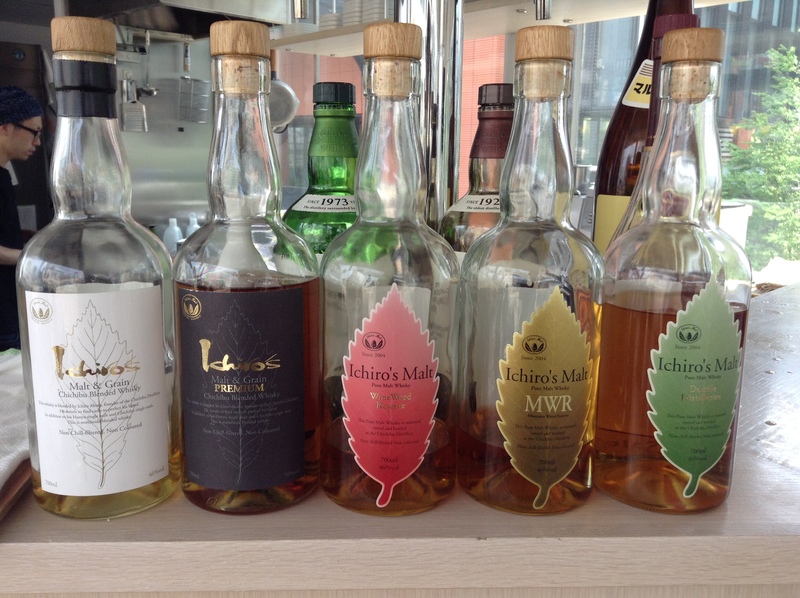 If you like whisky, they have a great selection of Ichiro whisky. I should have ordered a glass after the shock of the food. The station is the old Manseibashi station. Underneath the tracks there are several great little shops and restaurants. Get your food down here. The cafe is only good for experiencing the train. But, if you are a train fan, or with kids, it is pretty awesome to be on the tracks with trains passing by just in front of you. 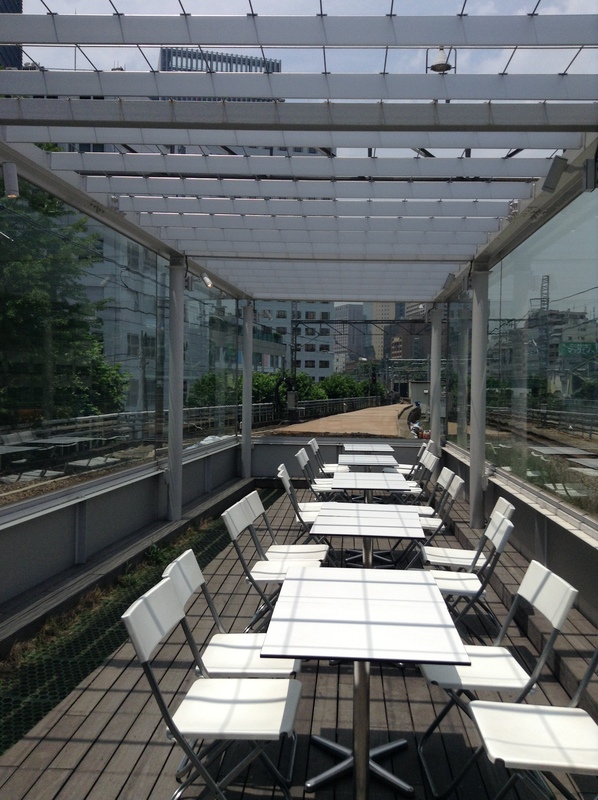 There is a part of the cafe that is covered and air-conditioned, but it opens onto the open-air cafe so is not too cool. I will definitely be back, but most likely after the weather cools down.